With 586,412 square miles, it's easy to see why Alaska, the largest state in the United States, is known as "The Last Frontier." Breathtaking scenery and outdoor recreation, wildlife sightings, and world-class museums all combine to make Alaska a must-see destination. The best time to visit Alaska depends on what you wish to see, and how much cold, snow and darkness you can handle. Many local attractions are located in the various towns or within walking distance of them. However, if you want to explore beyond downtown, you should rent a car. When planning your trip, keep in mind that many attractions are closed during the off-season, which is typically the end of September through mid-May. Much of Alaska is accessible only by air or sea, which means your visit will likely include travel by air or cruise ship, or a combination of both. There are direct flights from many cities in the Lower 48 states to Anchorage, Juneau and Fairbanks, although most non-stops originate from Seattle or Portland. It is possible to drive in to parts of Southcentral Alaska and the Interior via the Alcan Highway, if you're willing to drive up through Canada. From Anchorage, you can also drive to Denali National Park, the Kenai Peninsula, and Fairbanks, which is approximately six hours away. Alaska Marine Highway operates a ferry service among Southeastern Alaskan communities, as well as some stops in Southcentral Alaska. The most popular time to visit Alaska is from late May through late September. Summer temperatures vary widely throughout the state, but during these months you can generally expect to enjoy mild weather, with average highs between 60 F to 80 F, depending on which part of the state you visit. As the summer solstice approaches, plan for steadily increasing daylight hours. You won't necessarily enjoy 24 hours of full daylight, but average daylight hours range from 18 - 24 hours, depending on how far north you are. If you have your sights set on certain events, a winter trip is your only option. and most frequent viewing opportunities, but the lights can be seen throughout the state. Iditarod: Anchorage hosts the ceremonial start of the Iditarod, an annual dog-sledding competition, on the first Saturday in March. Teams race through town on blocked off streets as crowds of on-lookers cheer from the sidelines. The official start of the race happens a few days later in Willow, approximately a 90-minute drive north of Anchorage. Skiing: Ski and snowboard season kicks off when there's enough snow to open the slopes, usually sometime in November. Girdwood, a tiny town just a 45-minute drive south of Anchorage, is home to Alyeska Resort, a world-class luxury hotel and spa. In addition to downhill skiing, there are groomed trails for cross-country skiing, snowmobiles (Alaska's call them snow machines), and snow shoeing all around the resort. Hunting: Moose, caribou, bear, and Dall sheep are big game in Alaska. Hunting season usually starts in August or September and runs through October, depending on the type of game hunted. Alaska's largest and most populated city, Anchorage blends a big-city feel with rugged Alaskan charm. From outdoor pursuits to world-class museums that explore Alaska's history and culture, Anchorage has something for everyone. Wilderness literally surrounds Anchorage. Dozens of parks and trails and 122 miles of paved bike paths provide endless opportunities for enjoying the great outdoors, and you'll find bike rentals and tours throughout town. accessed from the parking lot. Tony Knowles Coastal Trail: This 11-mile paved path travels along Cook Inlet and through downtown Anchorage. Various points along the way branch off to other walking trails that take visitors to different parts of the city. 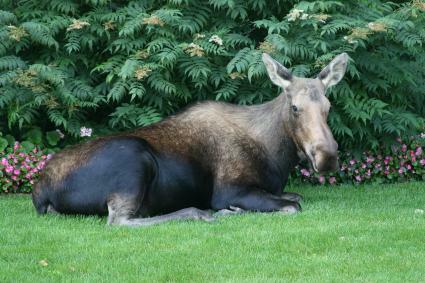 It's not uncommon to come across moose and bear on this trail. Planet Walk: The Lightspeed Planet Walk is a scale model of the solar system. The walk begins at the sun, located downtown, and travels along the Tony Knowles Coastal Trail to Kincaid Park. The entire walk takes about five and a half hours. Music in the Park: A live summer concert series featuring local musicians is held on Wednesdays and Fridays in downtown Peratrovich Park. A Monday music series is geared toward young children. Alaskans love being Alaskan, and the city has many museums that celebrate the state's history, as well as the cultures of the Native Alaskan tribes. Many museums are within walking distance of downtown. Those that aren't provide free shuttle service from the downtown Visitor's Center and many hotels. Alaska Native Heritage Center: Devoted to celebrating the culture and heritage of Alaska's Native people, the Alaska Native Heritage Center is a living museum that shares the story of Alaska Natives through traditional storytelling, song and dance, and exhibits. There are six authentic Native dwellings on-site that give visitors a glimpse into the Native way of life. Anchorage Museum at Rasmuson Center: The state's largest museum has both permanent and rotating exhibits that highlight Alaska's rich history and showcase Alaskan artists. The Imaginarium, located inside the museum, offers hands-on science experiments and activities geared toward children, but parents will find themselves getting in on the action. Alaska Aviation Museum: Given that a large portion of the state is accessible only by air, it's no surprise that an entire museum is dedicated to the importance air travel has played in the state's history. Located at Ted Stevens International Airport, the museum has many historical artifacts, as well as an Alaska Airlines jet open to tours. 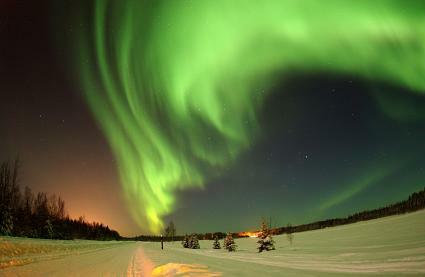 Gateway to Alaska's Interior, Fairbanks enjoys long summer daylight hours and warm temperatures. And for a relatively small town, it has plenty of cultural, artistic, and outdoor activities. Since Fairbanks enjoys some of the longest daylight hours in the state, the city offers an abundance of opportunities to get outdoors and enjoy the midnight sun. Pioneer Park: Take a peek in to Fairbanks' gold rush history at this outdoor park. Authentic log cabins house restaurants, gift shops, and museums. There's also a replica narrow-gauge train visitors can ride around the park and a free summer evening concert series. Creamer's Field Migratory Waterfowl Refuge: Two-thousand acres of fields, woodlands, and wetlands give visitors the chance to see sandhill cranes, Canadian geese, and other waterfowl through self-guided tours and guided nature walks. Midnight Sun Baseball Classic: Every year on June 21, summer solstice, the Alaska Goldpanners take the field for a game of ball. The first pitch is tossed out at 10:30 p.m. Hiking: There's no lacking trails in Fairbanks, and many are located within the downtown limits, including the Chena River Walk, which winds along the Chena River. 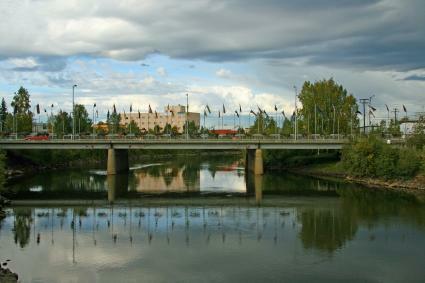 Fairbanks has a variety of museums and activities that highlight the city's rich history. University of Alaska Museum of the North: With more than 1.4 million artifacts, this museum offers a broad range of all things Alaska, from artwork and wildlife to history and culture of Alaska's five geographical regions. Gold Dredge 8: At Gold Dredge 8, a replica narrow-gauge train takes you to Fairbanks' oldest original mechanical gold pan. After a brief lesson, guides hand over the tools and let you try your hand at panning for gold. Fairbanks Community Museum: Located in the former City Hall building, the museum has a large collection of memorabilia commemorating Fairbanks' history, including exhibits that explore early gold rush days and the floods of the 1960s. If you want to visit the cities that make up Southeast Alaska, your best bet is to do it by cruise ship. That's because the communities that comprise the Inside Passage are only accessible by air or sea; no roads connect any of them except Haines and Skagway. These two towns are connected by the Haines and Alaska Highways, which take you through Canada's Yukon province. Ketchikan is the first stop on any cruise into Alaska. Known as "The Salmon Capitol of the World," it's steeped in Native culture and has the small-town, old-world charm visitors expect from Alaska. 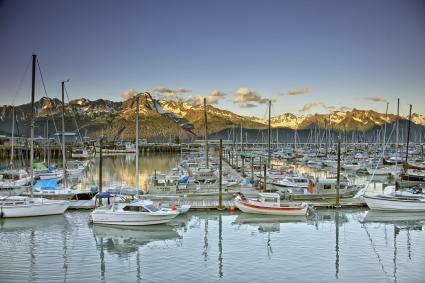 Alaska's state capital, Juneau is nestled amongst the mountains of the Tongass National Forest. It has a temperate climate. Since it's situated in the middle of a rainforest, be sure to remember your umbrella and rain poncho because the city has measurable rainfall 222 days a year. Mendenhall Glacier: Juneau is home to the Mendenhall Glacier, one of only several glaciers where visitors can walk up to the glacier's face. The Visitor Center is located in the Mendenhall Valley, approximately 15 minutes from downtown Juneau. A short hike over flat terrain will bring you to the face of the Glacier where, if you're lucky, you'll witness an iceberg calve. For a truly unique experience, book a tour and trek underneath and through the ice. Mount Roberts Tramway: On a clear day, the views of downtown Juneau from atop Mount Roberts are breathtaking. A tram takes you up 1,800 feet from the cruise ship dock to the top of the mountain. You can also opt to hike up the mountain and take the tram back down. Hiking: Juneau has plenty of hiking trails to suit all levels, from strenuous, uphill ascents into Mount Roberts and Mount Juneau to leisurely strolls that take you through the remnants of the old Treadwell mines on Douglas Island. Pick up a map and head out with bells on. Literally, wear some bells because this is bear country. During the gold rush boom at the turn of the 20th century, prospectors flooded Skagway to try to earn a fortune. More than a century later, Skagway retains its small town charm. Visitors can explore artifacts from the town's gold rush times at one of several museums. Known as "Alaska's playground," the Kenai Peninsula, located on Alaska's southwestern edge, is home to some of the state's best fishing. It also offers a prime opportunity to see migrating whales, sea lions, and other wildlife. 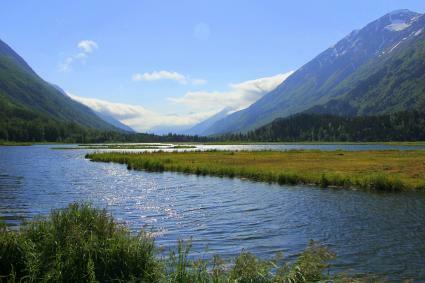 The Kenai Peninsula is accessible from Anchorage by car. Located on Resurrection Bay, Seward is one of Alaska's oldest communities and is known for its beautiful scenery and world-class halibut and salmon fishing. Alaska SeaLife Center: Injured or orphaned marine wildlife, including sea lions, seals and otters, are brought to the Alaska SeaLife Center to be nursed back to health, with the ultimate goal of releasing them back in to the wild. Alaska Railroad: If you just drive through Alaska, you're missing part of the adventure. 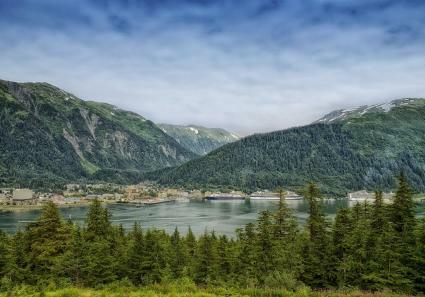 Hop aboard the Alaska Railroad and enjoy the scenery on your trip to Seward instead of simply passing through it. Exit Glacier: Located in Kenai Fjords National Park, Exit Glacier is just a short drive from downtown Seward. Three trails loop around the glacier and give you an up-close view. Guided walks with park service rangers are also available. Kenai is an outdoor paradise that offers ample opportunities for fishing, wildlife viewing, and hiking among the picturesque setting of Cook Inlet and the Kenai River. Homer, which lies on the shores of Kachemack Bay, is a town that's as serious about the arts as it is about fishing. Singer-songwriter Jewel actually hails from Homer. The Homer Council on the Arts hosts numerous public art events throughout the year, including plays, concerts, and crafts fairs, while galleries display the work of local artists and crafters. Halibut and salmon fishing are popular year-round activities, and Homer even hosts a Winter King Salmon Tournament every March. Denali, also known as Mount McKinley, is a destination unto itself. Even for visitors who choose not to make the 20,320-foot trek up North America's highest peak, a trip to Denali National Park promises jaw-dropping vistas and a larger variety of wildlife sightings than anywhere else. From late-May through mid-September, visitors can drive or take a tour bus through the 92-mile park loop. If you wish to climb the mountain, shoot for any time from May through early June; any later and you run the risk of falling into a crevasse or being swept up in an avalanche. The majority of climbers depart from Talkeetna, a tiny town said to be the inspiration for the television show "Northern Exposure." Alaska is truly a state like no other. You could make a dozen trips and still see something new on every visit. No matter where you choose to go, or what you do once you get there, you're guaranteed to have the adventure of a lifetime.